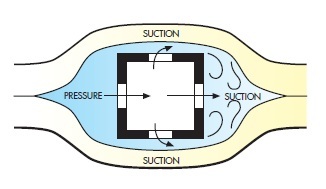 resistances to the flow of flue gases and reduce the draught. 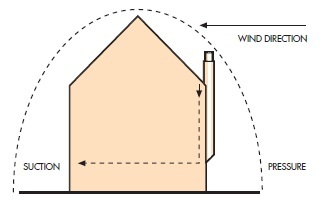 on the surroundings and the position of the chimney top in relation to the roof. A Insufficient draught to carry away all the smoke. 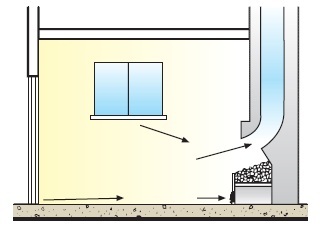 C Chimney terminates in high-pressure zone. 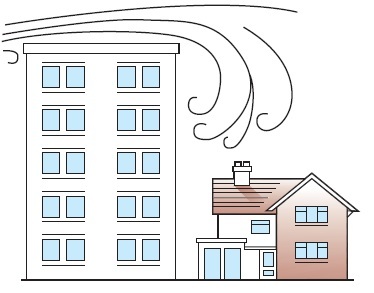 With the wind in a certain quarter the draught stops or reverses and causes smoke emission. The draught returns when the wind ceases or changes direction.